Many people celebrate Valentine's Day with loved ones, eating chocolates, or having fancy dinner. 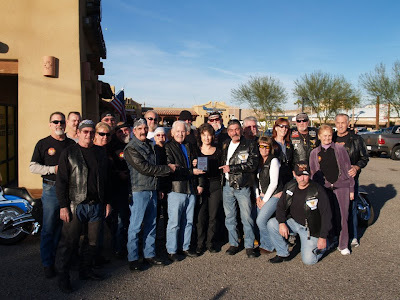 However, the fine folks of the Bullhead City Moose Riders did something a little less conventional--they used the occasion to show their love for our troops during their 4th Annual Sweetheart Poker Run. 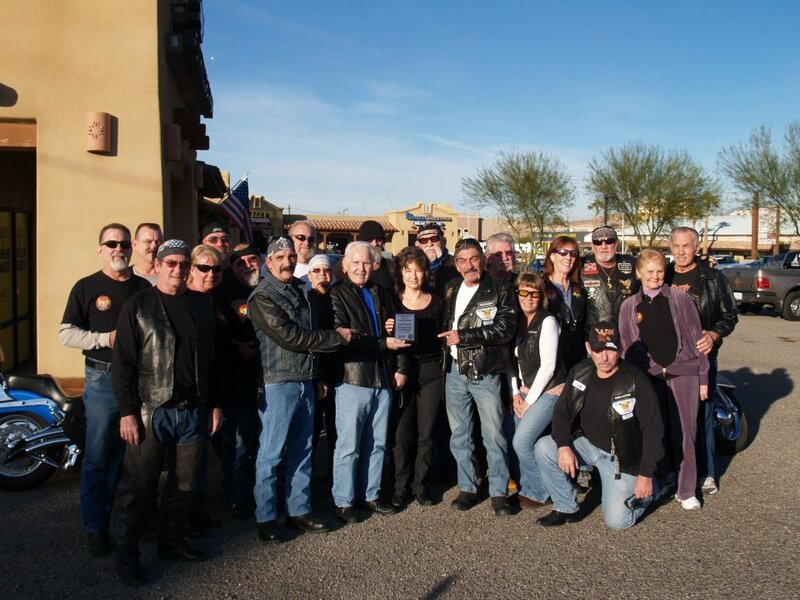 On February 12th, the Moose Riders held a poker run in which motorcyclists could sign up to raise money for the Healing Heroes Network. The riders drive to various locations to pick up cards to create a "poker hand" in hopes of winning the highest hand. The Moose Riders were able to raise $2,000 for Healing Heroes and had a lot of fun doing it. We at Healing Heroes Network would like to thank the Moose Riders again for their support of our cause and the brave warriors we serve. We at Healing Heroes Network try our best to spread the word of our cause. Thousands of troops are returning from Iraq and Afghanistan with PTSD, TBIs, and other injuries but don't know where to turn. While the VA helps, they are overwhelmed and sometimes the treatments that veterans need now aren't available or are delayed. That's where HHN steps in; we cover the gaps to make sure our returning military can return to the lives they had lived before sacrificing so much for our freedom. So, when Pinterest started getting popular, we thought that it would be a great new medium to try and get our message out there. Healing Heroes is here, and we care. 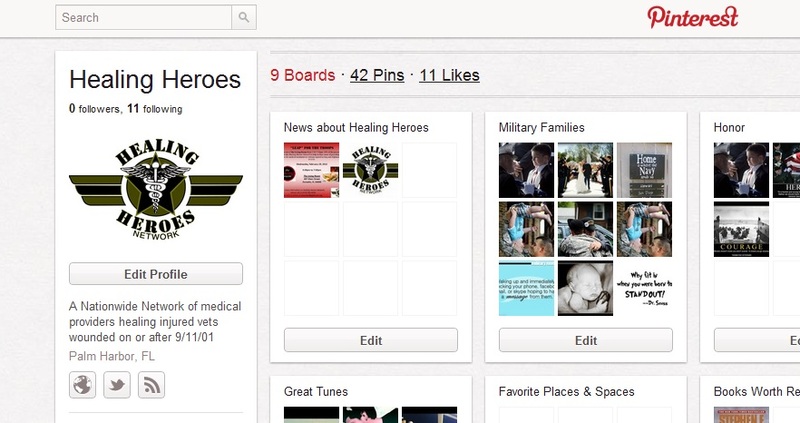 Follow us there at Pinterest to keep up with fun pictures, military news, and Healing Heroes updates.